BOGOTA/ROME (Thomson Reuters Foundation) - Ordering fried chicken at a fast-food restaurant in Colombia's capital, Paola Flores is one of millions of Latin Americans struggling with obesity, an epidemic hitting this region harder than others in the developing world. More than 56 percent of Latin American adults are overweight or obese, compared to a global average of 34 percent, according to a report by the Overseas Development Institute last year. The growing problem often affects the poorest in society, and threatens to overwhelm Latin America's public health systems and curtail economic gains in the long run, experts say. "Buying a family combo of fried chicken, chips and a soft drink can feed me and my three children at a price I can afford," Flores, a secretary, said as she stood in line. Since 1991, the number of hungry people in Latin America has nearly halved to 37 million in December from 68.5 million. While the region is the only one that is on track to meet U.N. goals on reducing hunger by 2015, far less attention has been paid to combating obesity. In the past decade, fast-growing economies buoyed by a commodities boom, including Mexico, Colombia and Brazil, have seen a rising middle class with a taste for more processed food that are high in salt, sugar and fat. Aid in the form of cash transfers, pioneered by some of the region's left-leaning governments, particularly Brazil, mean people have more money to spend on food. Governments and nutrition programs now need to focus on ensuring people buy more foods high in fiber and protein, such as fruits and vegetables, U.N. officials said. "In the past, the main problem we had in Latin America was under-nutrition. We tried to spend efforts on school feeding programs and supplements for families," said Yenory Hernandez-Garbanzo from the U.N. Food and Agriculture Organization (FAO). "Now, we have to look at the bigger picture. We were feeding these families with a lot of energy but we weren't teaching them how to be balanced in their diets," the nutrition officer told the Thomson Reuters Foundation. 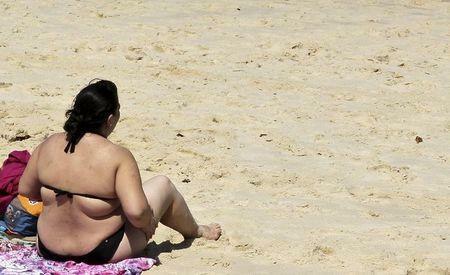 Obesity is the fastest-growing chronic disease, killing 2.8 million adults every year. Obesity-related conditions, including diabetes and heart disease, now cause more deaths than hunger, according to the World Economic Forum. "Rapidly rising rates of obesity in Latin America and worldwide bring huge social challenges and places a tremendous burden on the individuals affected, as well as the global economy and public healthcare systems," said Florencia Vasta, a specialist at the Global Alliance for Improved Nutrition. Mexico faces the region's most acute obesity crisis, with 70 percent of adults overweight or obese, according to Mexico's National Institute for Public Health (INSP). "Obesity in some countries in Latin America, like Mexico, is an epidemic where extreme measures need to be taken," Juan Rivera, head of INSP's health and nutrition research center, told the Thomson Reuters Foundation. Obesity cost the Mexican economy an estimated $5.5 billion in 2008, he said, and if the problem is not addressed, the figure is expected to hit $12.5 billion by 2017. To combat obesity, which Mexico has declared a public health priority, lawmakers have introduced measures to promote exercise and healthy eating, such as free subway rides if passengers perform 10 squats and a 2014 tax on sugary drinks and junk food. Other measures include banning unhealthy food from school cafeterias and require all schools to provide water fountains to reduce the consumption of sugary drinks. Costa Rica, Uruguay and Colombia have also introduced similar initiatives to promote healthy food in schools, while Ecuador has introduced controls on food labeling. "Mexico has taken good steps in its fight against obesity during this and the previous administration but there's still much ground to cover," Rivera said. Experts say one reason why obesity is such a problem in Latin America stems from the power of multinational food and beverage firms, particularly those from the United States. "One of the biggest issues here is the influence of the food industry," FAO nutrition expert Melissa Vargas said. "They have ... a lot of political influence and money for advertising."